"The Spirit of Radio" is one of the tracks included on Kobra and the Lotus' Words of the Prophets EP released today (August 28). The EP is available here; and you can check it out the track below. Words of the Prophets also features their spin on other Canadian-based classics including “Lay It On the Line” by Triumph, “Sign of the Gypsy Queen” by April Wine and Bachman-Turner Overdrive’s “Let It Ride,” among others. 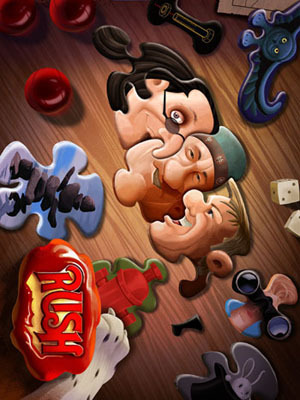 Tomorrow (Saturday, August 29) the "Rush Brazil Festival" celebrating Rush's music will take place in São Paulo, Brazil. The largest Rush festival in Brazil, there will be four tribute bands and promises to be a good time for everyone. For venue details and more information visit Rush Fã-Clube Brasil. - Thanks to Vagner Cruz for the headsup! Check out today's Reality Check comic strip from Dave Whamond! - Thanks to Ed Stenger at Rushisaband for the headsup! UPDATE: Fantoons is currently shipping preorders taken during their Kickstarter project. If you missed out on that, you can now order a copy from Fantoons here. Created by David Calcano and launched in 2012, FANTOONS is an on-going comic strip that brings you comedy and art based on the greatest rock bands on the planet. 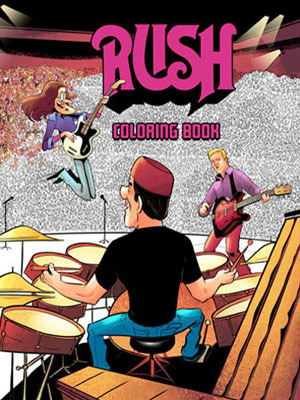 Funded by their Kickstarter campain, their new book Rush Toons by Fantoons - Volume 2112 includes a forward written by Ed Stenger of Rush Is A Band. 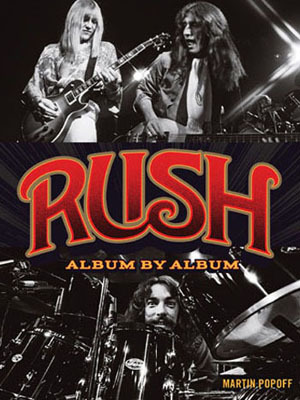 For more info check out ComicbookMoviesAndReviews.com Q&A with Fantoons' David Calcano where he discusses the book and his love of Rush. 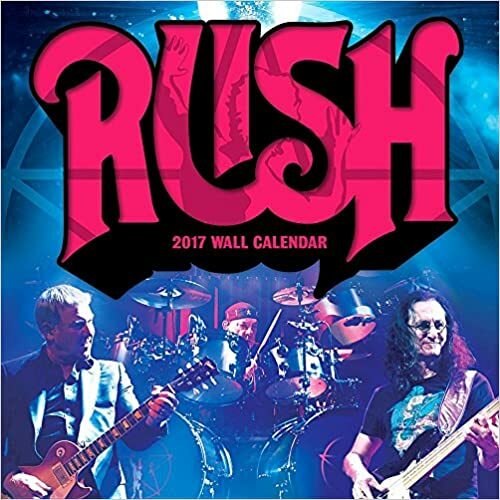 Last year Rush announced the vinyl reissues of the Mercury era albums, and now we have learned that the Atlantic-era Rush album will also be reissued on vinyl beginning next month. 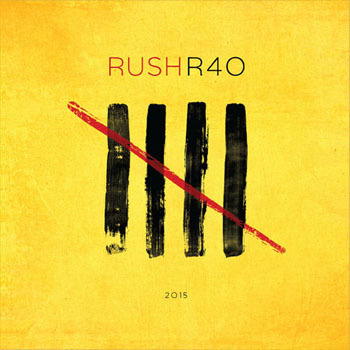 Currently available for preorder at the Rush Backstage Club are Presto and Roll The Bones to be released September 11th, Counterparts and Test for Echo coming October 10th, followed by Feedback and Snakes & Arrows on November 13, 2015. Click here for more. 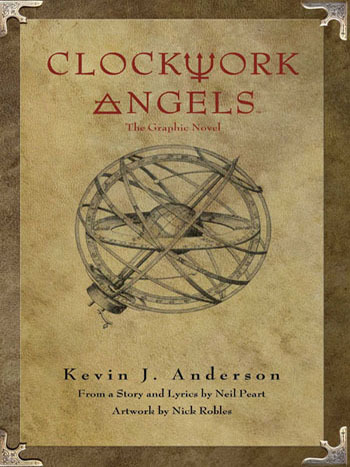 Kevin J. Anderson talks to SFFWorld about "Clockwork Lives"
Kevin J. Anderson and Neil Peart's eagerly awaited followup to the Clockwork Angels novelization, titled Clockwork Lives, is set for release on September 15th. 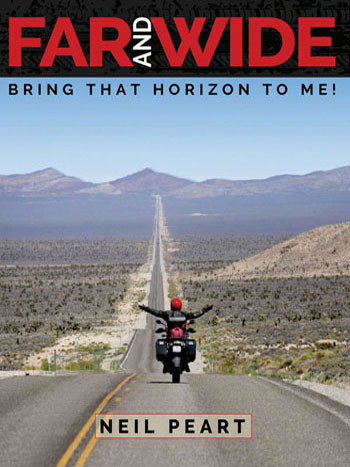 The novel is available for preorder in hardback. Today SFFWorld posted a new interview with Anderson where he talked about his new novel; check it out here. Foo Fighters Enlist Fan to Sing "Tom Sawyer"
While the Foo Fighters were playing Edmonton on Wednesday night, Dave Grohl enlisted a fan from the audience, who "knew all the words" to "Tom Sawyer," to join them on stage and sing! "Nobody knows every word to 'Tom Sawyer,'" Grohl says in the above fan-shot video. "You don't go to a karaoke bar and someone sings 'Tom Sawyer'. . . Who can actually sing and knows all the words to 'Tom Sawyer'?" It's what you've been waiting for, the complete six issue story arc of the Clockwork Angels comic written by Kevin J. Anderson with Neil Peart, illustrated by Nick Robles, will be released as the 144 page Clockwork Angels - The Graphic Novel. Unfortunately, originally set for release April 14th, Barnes & Nobel now is showing a release date of September 15th - click here to order. 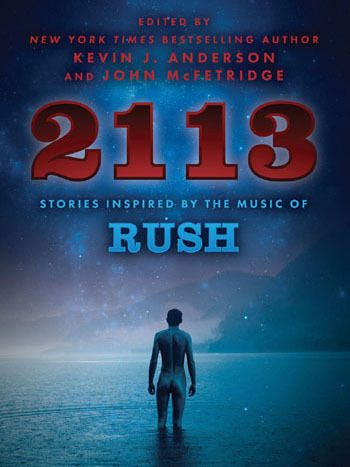 The graphic novel adaptation of the unprecedented concept album and novel from the multi-platinum, Rock & Roll Hall of Fame music legends RUSH and NY Times Bestselling author Kevin J. Anderson! Owen Hardy, like all the people of Albion, has lived his whole life under the rule of The Watchmaker. His entire life has been planned down to the exact second. But what happens when a young boy decides that things should not always goes as planned? 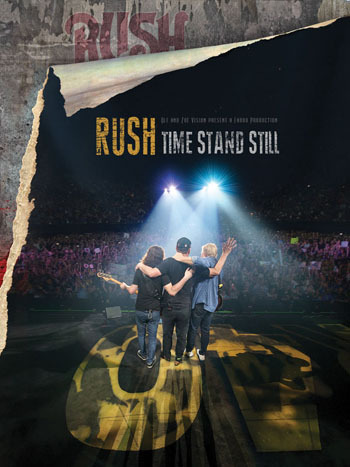 Rush's CLOCKWORK ANGELS is a testament to the band's creative versatility - it has been successful as a concept album, novel, and international tour. Now, Rush drummer and lyricist Neil Peart and New York Times bestselling author Kevin J. Anderson are bringing the story of CLOCKWORK ANGELS to comics, where newcomer artist Nick Robles will bring the journey of Owen Hardy to visual life! Die-hard Rush fans have longed for Peart's narrative songwriting to be adapted into comic book form for decades, but fans of steampunk fantasy will enjoy journeying into the world of Albion thanks to Anderson's skilled storytelling. Collects the complete story originally published in CLOCKWORK ANGELS #1-#6. A note for collectors: you can still buy the complete set of the original comic series from BOOM! Studios here. 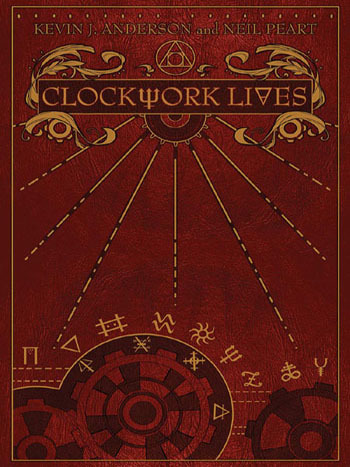 In addition to the Clockwork Angels - The Graphic Novel, be sure to preorder your copy today of the followup story, Clockwork Lives, which is now available for preorder in hardback and is scheduled for release on September 15th. 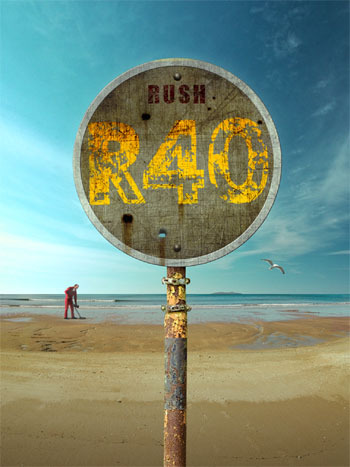 Rush's R40 Tour visited 34 cities throughout North America from May 8 in Tulsa, Oklahoma through August 1 in Los Angeles, California. At the final show in Los Angeles, Jonathan Dinklage joined in one final time on "Losing It." Other than that it could have been any other show on the R40 tour, until at the end of the show, between "Working Man" and "Garden Road", Geddy and Alex paused as Neil pulled out a camera and took a couple of photos. Then, after "Garden Road" Neil wrapped his arms around the shoulders of Geddy and Alex and joined them in an emotional bow before running of stage. 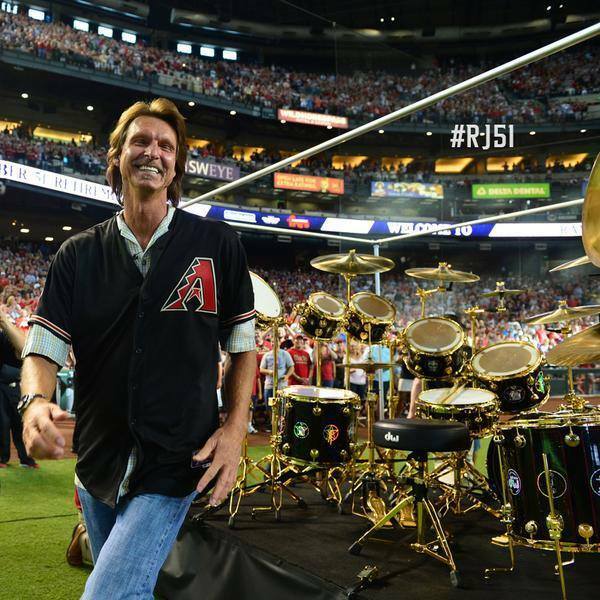 - Thanks to Joe Pesch for the headsup! You can check out the full interview here. 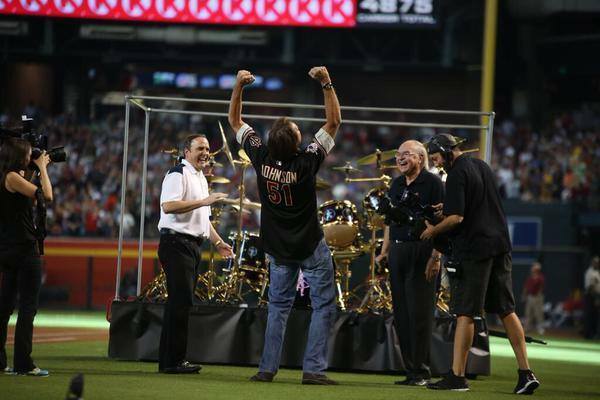 - Thanks to RushFanForever the for the headsup! Between August 1 - September 30, 2015, get a free Sabian limited edition Paragon t-shirt designed by Neil Peart with the purchase of any Paragon cymbal model. Click here for details. - Thanks to Rosmakloma for the headsup! 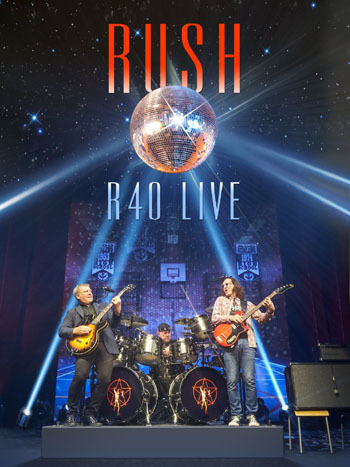 Rock Band 4 coming October 6 - will include Rush's "A Passage To Bangkok"
Rock Band 4 is due for release on October 6 for PlayStation 4 and Xbox One (click to order). 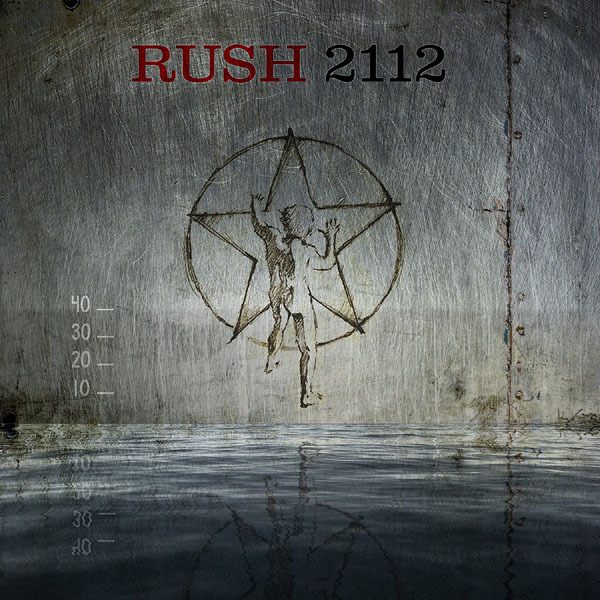 Included in the setlist is Rush's "A Passage To Bangkok". You can see the trailer below, but unfortunately it does not include a sample of AP2K. - Thanks to Stew Gilray for the headsup! In advance of tonight's final show of the R40 Tour at the LA Forum, the Los Angeles Times published a new interview with Geddy Lee titled "For Rush's Geddy Lee, touring means training", were he talks about his training habits before and during the tour.